Whenever I inspect a crawl space I am excited to find out what surprise awaits me. 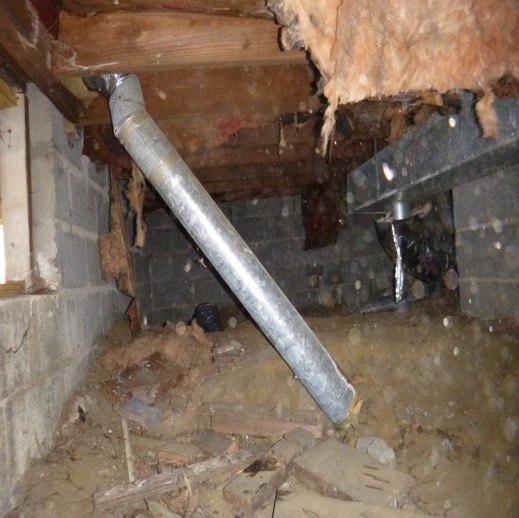 Crawl spaces are the most neglected and under maintained part of a home. Today I am sharing what I found in two separate homes. Both are pertaining heating and cooling systems. Home number one is a home that I inspected just last week. 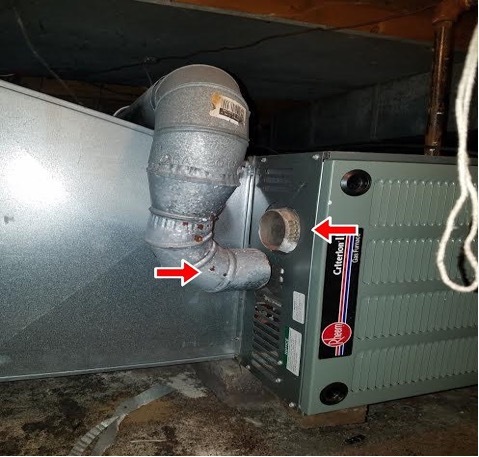 Prior to the inspection the homeowner mentioned that the master bedroom did not heat very well and that they needed to use a window air conditioner in the summer even though the house had central AC and a newer HIGH EFFICIENCY HEATING SYSTEM. As soon as I entered the crawl space there were several issues. The one that we are talking about today was just to my left. 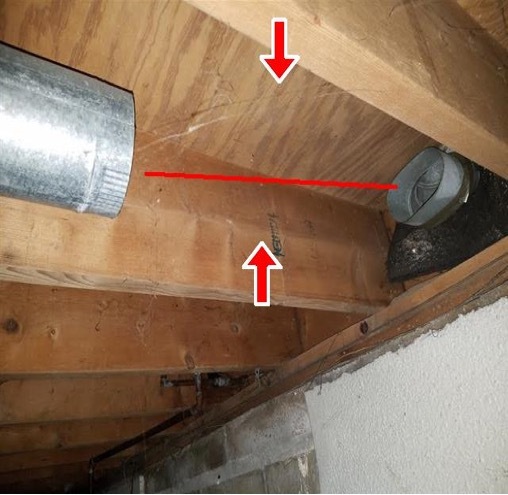 A 5 foot section of metal duct work that went to a floor register in the room above had become disconnected from the supply trunk line and was lying on the dirt. 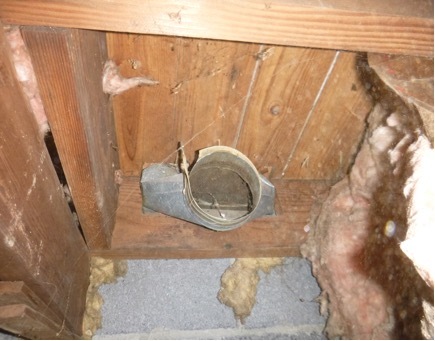 As I proceeded with the inspection I found two other open HVAC ducts that were not connected to the trunk line. A situation like this does not deliver the conditioned air to the room that it is intended and also reduces the amount of conditioned air available to be distributed to other rooms because of the lack of back pressure on the system. Other energy and money wasting is created by this air exiting the home replacement unconditioned air is pulled into the home from outside that now needs to be heated or cooled. The second house that I am including in this blog I inspected a couple years ago. This house had the furnace located in the crawl space. Problem number one with this house is that the air filter for the furnace was located at the furnace return in the crawl space. So this filter was over do for being changed. If you do not do not understand why this might happen is that you probably have never had the pleasure of going into a crawl space. Not fun. 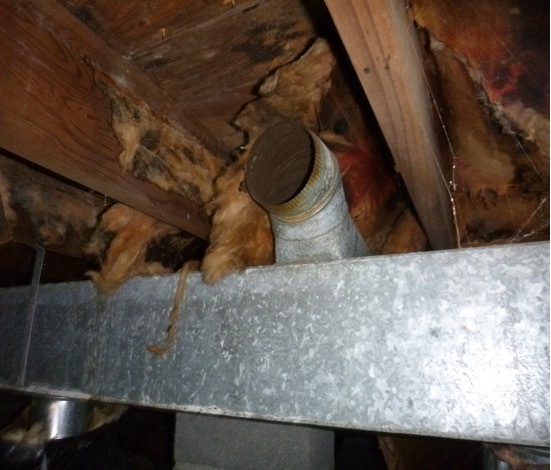 Second problem is like the other house is that there was a section of the duct pipe that went from the trunk to the wall boot that had fallen out allowing all that conditioned air to be pumped into the crawl space and not into the home. The third situation is the most dangerous and could have been deadly. 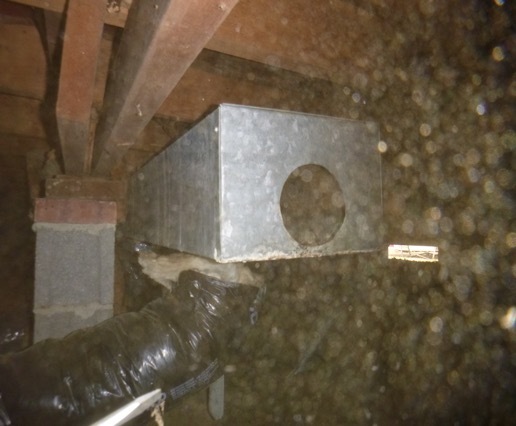 The exhaust flew from the furnace had become disconnected allowing all the exhaust from the furnace to be put into the crawl space. This exhaust contains deadly carbon monoxide gas. The open line to the living room was allowing carbon monoxide air to enter the house and the furnace being located in the crawl space allowed more of the deadly air to be distributed into the home. When you want a complete and thorough inspection, call Brick by Brick Home Inspections.